ClearIAS celebrates the 4,00,000 Facebook Followers mark with Rs.200 additional discount! ClearIAS.com is on a mission – to provide quality education at affordable cost to millions in the country. And, we are proud and happy to say that we are near to another milestone in our successful journey – 4,00,000 Facebook Followers. 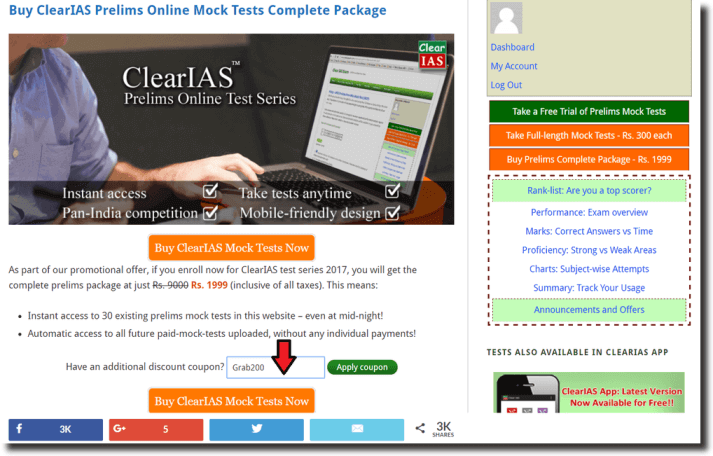 Use discount code ‘Grab200’ to get Rs.200 discount for ClearIAS Prelims Test Series 2017! ClearIAS Team is happy to offer our ever-loving students a limited period offer on this special occasion – Rs.200 additional discount on ClearIAS Prelims Test Series 2017! Just use Grab200 as an additional discount coupon code in space to apply coupon code – in the page you enroll for ClearIAS Prelims Test Series 2017. Limited Period offer – valid only for the next 2 days and for the first 200 aspirants! As UPSC CSE Prelims 2017 is just 20 days away, we truly stand with our serious followers with additional support for affordable but quality education. This additional discount is a limited period offer valid only from May 29 Monday 4.00 PM until May 31 Wednesday 11.59 PM. This special offer is only for the first 200 aspirants who enroll within the period. 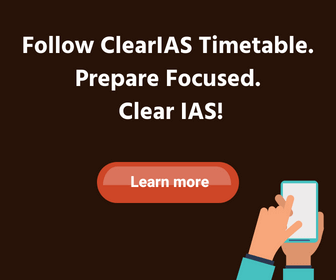 ClearIAS, within a short span of time, has emerged as the leader in online preparation for IAS exam. The website clearias.com receives around 15,00,000 page views per month. 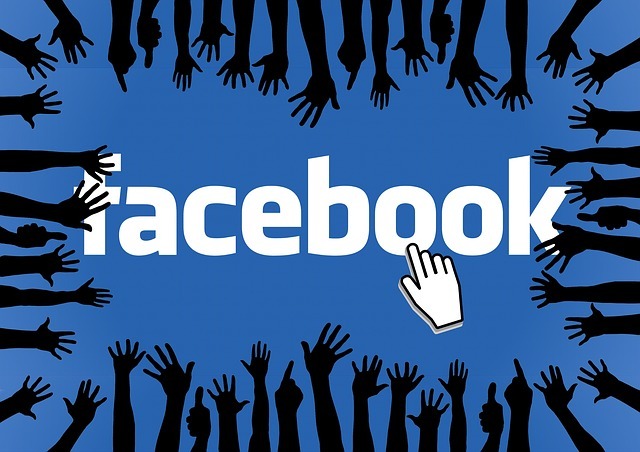 Around 4,00,000 aspirants follow us on Facebook. ClearIAS Prelims Test Series is one of the biggest opportunities in India for pan-India competition with more than 1,00,000 registered aspirants on the platform. Update: ClearIAS has published an ebook – “Current Issues – What’s Hot Today?” on ClearIAS online store. This is a unique compilation of the most important contemporary issues of national and international importance. We hope the ebook will help you learn faster. 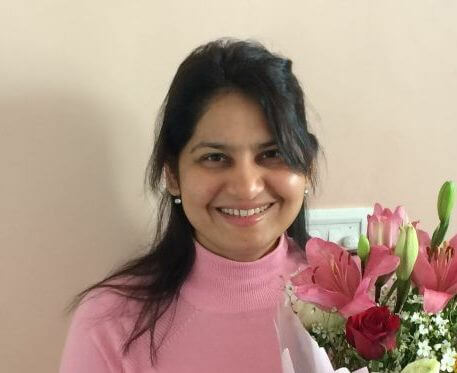 Yes, you can Clear IAS – what to do next? Get the best Prelims Test series in India – at the most affordable price. More than 1,00,000 aspirants have registered in our innovative platform which offers ClearIAS Prelims Online Mock Test Series! But if you haven’t started our full-length paid tests in the program, enroll for our complete package now. Our test series will help you learn faster. You can also retrieve your username/password using the forgot password link, by just entering your email id. You can pay using net-banking, credit card or debit card. Enroll for ClearIAS Prelims Test Series 2017 Now! If you have already enrolled – great! You got the advantage of time. Just finish your mock tests uploaded to ‘My Account’ and start revising! More mock tests will be uploaded soon.